Real Estate Power Couple Ellen Degeneres and Portia Di Rossi Have Listed Another Beautiful Home. They are at it again, our favorite real estate power couple Ellen Degeneres and Portia Di Rossi have listed another beautiful home. This home on Zorada Drive is a bit more modest than their Montecito mansion, it's just 2,755 square feet with three bedrooms, built in 1956. The home is constructed in a U-shape around the pool. For an older home it has a very modern look with concrete floors and large glass walls. It is listed at $2.3 million. Click here to read more. State targets Murrieta real estate broker. A complaint was filed Wednesday against Stonewood Consulting Inc., a real estate sales and property-management firm in Murrieta, and its licensed broker, Hendrix Moreno Montecastro. Montecastro and Stonewood Consulting are accused of engaging in a scheme by which they used inflated appraisals to obtain mortgages larger than the selling prices of the properties their clients purchased. Stonewood took the difference between the actual sale price and the mortgage amount as compensation in addition to regular sales commissions, the complaint said. The department said an audit of 10 properties conducted as part of its investigation showed the accused collected $969,158 in extra compensation as a result of inflated appraisals. Click here to read more. 21.2% growth rate in 2006, #1 growth rate in Riverside County, #1 growth rate in California. Two proposed new annexations in process for mixed-use projects. New Park design standards in process. Community Facilities Districts (CFD) to develop new infrastructure. Water and Wastewater infrastructure under construction will upgrade the existing wastewater treatment plant and recharge basins to 17M gallon capacity. Due for completion in 2009. K-12 education provided by the Beaumont Unified School District. Contains two SCPGA Championship Golf Courses. Home to the Beaumont Cherry Festival. Regional Commercial Shopping Center in Planning Stages. Beaumont's current Multi-purpose Trails: 10.5 Miles Constructed, 50 Proposed Miles in the Future. ~Negative credit information such as bankruptcies, charge-offs, collections, etc. Your lender will use your FICO score to determine how much money you can borrow and what interest rate you will pay. ~Pay your bills on time. Late payments and collections have a big impact on your score. ~Do not apply for credit frequently. Having a large number of inquiries on your credit report can worsen your score. ~Reduce your credit card balances. • Freddie Mac's online guide to avoiding foreclosure, http://www.freddiemac.com ; under "Buying and Owning a Home" click on "Owning and Keeping a Home," then "Avoiding Foreclosure." • Freddie Mac's Don't Borrow Trouble Hotline refers callers to appropriate local agencies for education, counseling and legal advice, (800) 477-5977. • U.S. Department of Housing and Urban Development has certified counselors, (800) 569-4287, http://www.hud.gov/offices/hsg/sfh/hcc/hccprof14.cfm. Choose "Search Online." Select "California." • American Bar Assn., http://www.abanet.org. Select "Legal Help." • Legal Services Corp. hotline can help you find a legal services office in your area, (202) 295-1500, http://www.lsc.gov. • National Assn. of Consumer Bankruptcy Attorneys, (202) 331-8005, http://www.nacba.org/attorneyfinder. • For other lenders, contact the L.A. County Department of Consumer Affairs, (800) 593-8222, dca.lacounty.gov. Hey everyone! I have good news and bad news for you. The bad news is that the United States Postal Service has decided to raise its postage rates on May 14th, 2007. A First-Class letter will increase from $0.39 to $0.41. Postcard rates will increase from $0.24 to $0.26. The last increase was on January 8th, 2006. The good news is that I will be giving away sheets of $0.02 stamps! Just contact me and I will mail some to you! Now for today's real estate news! San Diego real estate market drags down UCLA Anderson Forecast. Weakness in the residential real estate market will continue to be a drag on San Diego's economy through 2008, according to a report released today by UCLA's Anderson School of Management. There are signs that the local real estate market is beginning to stabilize, but the economic "wild card" remains the historic high level of mortgage defaults, according to the UCLA Anderson Forecast. The Forecast said the combination of slower population growth and rising foreclosure rates suggests that the San Diego area's residential housing market will be weak for at least another year. "However, the absence of any serious economic weakness in the next two years suggests that a protracted bear market for housing is unlikely," according to the UCLA Anderson Forecast. "Thus, our forecast for the San Diego housing market is less building, weak sales volumes and flat to slightly falling home prices through 2007, with some improvements starting in mid-2008," the report states. Employment and income growth in the San Diego region will remain positive but sluggish through 2008 amid a slowdown in the leisure and hospitality industry and construction and mortgage finance sectors. The UCLA economists who produce the quarterly report will discuss the economic outlook for the nation, California and San Diego during a morning conference at the Manchester Grand Hyatt today. Click here to read more. Agricultural land values increase. Farm and ranch land appraisers point to a moderating "Goldilocks economy"--not too hot and not too cold--for slower, more solid appreciation in California agricultural land values. Based on property sales in 2006 and the outlook for 2007, experts say most agricultural property values have inched upward, seesawing with economic shifts. Generally the past couple of years have offered fairly positive news for agricultural commodities and that has translated into steadily increasing land values, said Mark Clarke, Rabo Agrifinance lending affiliate. But that has not necessarily translated into ever-increasing income. Click here to read more. Realtors' Chief Economist to Leave. David Lereah, chief economist of the National Association of Realtors, is leaving NAR to join Move Inc. as chairman and partner of a new business entity next month, NAR said Monday. Lereah has directed NAR's research division, regulatory and industry relations division and other activities. He will leave the association in mid-May, NAR said. As chief economist and senior vice president, Lereah is the NAR's spokesman on the U.S. economy and the housing and real estate markets. California-based Move Inc. provides homebuyers and renters with information about real estate and communities before, during and after moves, according to its Web site. Move Inc. operates NAR's Web site, Realtor.com. Neither NAR nor Move offered details about the new entity, but Move said more information would be forthcoming in the third quarter. The entity is "expected to be transformational for both consumers and real estate professionals," according to a Move news release. Click here to read more. A City Undeterred by Cooling Market (LA Times, Apr. 28th): " DataQuick Information Systems: In Ontario, as in the rest of Southern California, the real estate market has been taking a beating. In March, sales of existing homes in the city were down 59% from the same month last year. The median sale price fell to $408,000 from $425,000… The value of undeveloped land, much of it still home to cows, has fallen by as much as $100,000 an acre in this part of San Bernardino County in the last six months, land brokers estimate, settling way below the peak of $550,000 in 2005." Click here to read more from Seeking Alpha - Real Estate Market Tracker. I usually like to focus on real estate in California, but sometimes it's interesting and a little shocking to see how the ripple effect travels across the country. The following article talks about the possible financial dangers of flipping homes during a housing frenzy in Las Vegas. Real Estate flipping goes cold in Las Vegas. In the rampant real estate speculation of the Las Vegas valley three years ago, people lined up outside Pulte Homes sales offices overnight as if they were waiting for the release of the latest video game console or hot new movie. Having seen his house in an upscale part of suburban Henderson, Nev., jump $200,000 in value in 18 months, Sam Schwartz felt he couldn't miss any part of the boom. He spent the night in the parking lot with a TV, snacks and drinks, along with about a hundred other people. Schwartz intended to buy a new home and then quickly sell it within the year - for a huge profit. Most people waiting were flippers just like him, he said. But when home prices unexpectedly took a backward step, many investors seeking to cash in quickly were left "upside-down," owing more on their mortgages than what their homes were worth. The result was a glut of homes in the marketplace, communities spotted with empty houses and for sale signs - and a foreclosure rate in Nevada that leads the nation as owners unable to sell became saddled with unbearable debt payments. The day Schwartz reserved his home, the sales staff was raising prices $20,000 after every fifth buyer came inside. The $500,000 house he and his wife were eyeing had shot up to $540,000 by the time they sat down. Somehow, it still seemed like a good deal. He and his wife put down $5,000 on a home that cost $560,000 with upgrades. While the Schwartzes were able to cancel before closing on a property that suddenly was worth only $490,000 - and recoup their deposit on a legal technicality - others were less fortunate. Click here to read more. Potential for real estate fraud grows as more homeowners face foreclosure. The potential for real estate fraud has soared, driven by a surge in default notices sent to thousands of struggling California homeowners during the past several months. It happened to Maria Pastor in November 2002. When she met Edgar Berrazueta, she thought that "he was a decent person, a kind person." She realized that something was wrong when she and her daughter began looking over the loan documents. She couldn't figure out the new monthly payment — if it would be lowered or if it would adjust each month. In this instance and others, Berrazueta arranged "cash-out" refinance loans, but concealed it from his clients, intercepted the cash-out checks and deposited them into his bank account, according to the Ventura County District Attorney's Office. In August 2005, he was sentenced to three years and eight months in prison. Click here to read more. Wealthy housing markets shrug off subprime woes. Analysts expect that, like Manhattan, San Francisco, parts of Los Angeles, Seattle and a handful of other affluent urban markets for homes will evade the housing slowdown. Their economies are strong and demand for housing from higher-wage earners there remains buoyant. Also, those markets have few subprime borrowers. Subprime mortgages allowed borrowers with blemished credit and limited resources to buy homes, typically entry-level homes in fast-growing regions with affordable housing such as the Inland Empire region east of Los Angeles. By contrast, subprime borrowers are rare in affluent markets such as West Los Angeles because affordable homes are in short supply. Click here to read more. Buying Distressed Homes: Foreclosures, Short Sales, REOs. While all short sales are foreclosures, not all foreclosures are short sales. To further complicate matters, REOs are not short sales either, but some intended short sales can end up as an REO. Learn more about foreclosures, short sales, and REOs. When is the best time for you to buy a distressed property? Click here to read more. Resale home prices up 11 percent. Sales volume in valley declines 37 percent. Sales volume for all types of homes in the valley declined 37 percent in March from a year ago, with new-home sales experiencing a particularly soft month with nearly a 53 percent decline from March 2006, DataQuick reported. Still, overall home sales in the valley were up considerably in March compared with February. Units sold jumped nearly 33 percent - 937 homes sold in March from 705 in February, DataQuick reported. 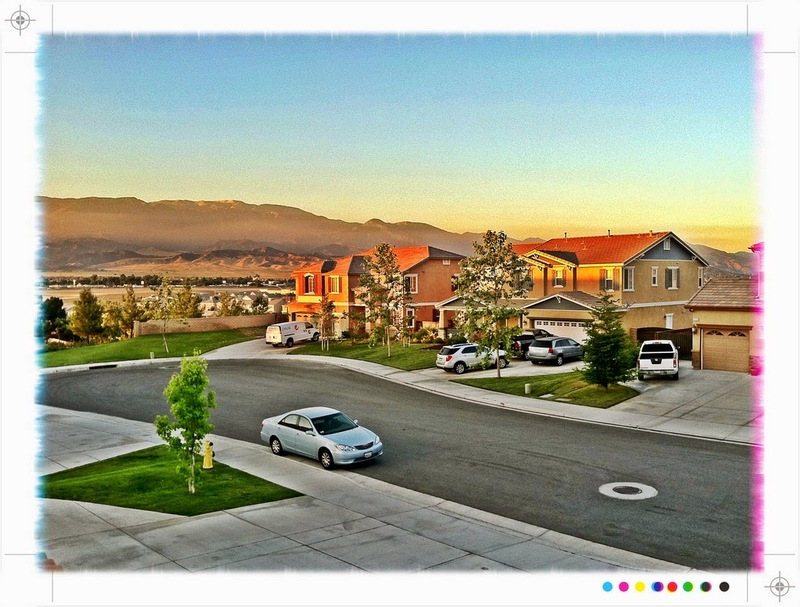 The valley's median home price was up from February as well, rising to $400,000 from $393,000 for all types of homes, and to $455,000 from $451,000 for existing single-family homes that sold, DataQuick reported. Across Riverside County, the overall median home price rose 0.2 percent to $420,000 in March compared with year-ago figures, even as sales volume plummeted nearly 47 percent. Click here to read more. Be reasonable with real estate, readers told. 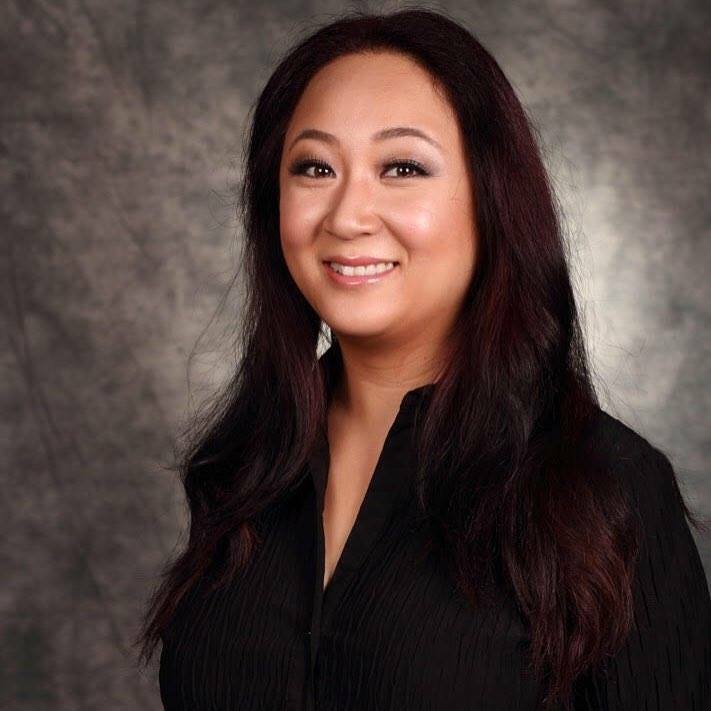 Here's a sampling of some of the e-mails answered by Andi Kang, a certified financial planner at Financial and Retirement Management in Huntington Beach; Georgette Hurley, a Mission Viejo CFP; John M. Ingram, a CFP with the Keller Group in Irvine, and Jacob Shen, a CFP with Ameriprise Financial in Irvine. Click here to read those real estate questions and answers. Hi everyone! I'm hosting 2 open houses today. Feel free to stop by! I do several open houses every weekend. This weekend's homes are, by far, two of the nicest I've ever seen. Happy House Hunting! I will be at 1068 Dysart Dr., Banning, CA 92220 from 12pm to 2pm. Click here for MLS INFORMATION. Click here for a MAP! Then I will be at 5424 Evergreen Ln., Banning, CA 92220 from 2pm to 4pm. Click here for MLS INFORMATION. Click here for a MAP! Supermodel sells her home in the Hollywood Hills for $4 million and nests in the East. Looks like Gisele Bundchen sold her one-story, gated Spanish hacienda in the Sunset Strip area. The house has a media room, a gym, city views and a pool. With four bedrooms, there's enough room for the Gisele's five sisters, including her twin, to stay overnight. Bündchen said an official farewell in 2005 to her relationship with Leonardo DiCaprio. They were chosen by People magazine as the "Most Beautiful Couple in the World" in 2004. Her personal fortune, valued at $150 million, put her in the "Guinness World Records" book as "the world's richest supermodel." She has modeled for Victoria's Secret, Louis Vuitton, Valentino, Lanvin and Vogue Eyewear. She is a spokesmodel for Christian Dior and Ralph Lauren. And she has her own line of shoes, called Ipanema Gisele Bündchen. More than 100 million pairs have been sold in six years. Click here to read more. Buyers in for future shock. Stage is set for a legislative battle over builder fees that are passed on to the next guy. Builders of housing developments generally are required to pay for the construction of roads, sewers and schools for the new residents. It's a given that those costs are passed along to the buyers of those homes. What isn't a given is that, for years, some builders in California and a handful of other states have been passing along other costs of doing business — appeasing environmentalists and local governments to get their projects approved — to subsequent buyers as well. The builders attach private transfer fees, which range from about 0.05% to 1.75% of the purchase price, to the deed, which must be paid every time the home is sold. Typically set at 1%, fees on a home sold for $550,000 would be $5,500. The fees can remain in effect 20 to 25 years or longer. The California Assn. of Realtors, which became aware of the practice about 18 months ago and opposes it, says it adds a hidden expense to the price of homes and makes them even less affordable. Click here to read more. Appealing a low appraisal may mean doing some legwork. As many people are finding out that, in today's down market, their homes aren't worth what they thought. At least not in the eyes of the professionals hired to tell lenders what the places could fetch. If a real, live appraiser is responsible for a valuation you think has come in too low, you always can ask for a second opinion from another appraiser. But you'll have to pay for that too. Moreover, the second valuation must be more than 5% higher than the first. In the appraisal game, anything less is considered an acceptable difference. Click here to read more. House & Garden : L.A. Design. Get a jump on you summer entertaining by gussying up your nest with indoor and outdoor decorating projects. Peruse some of the classic Home sections from the L.A. Times. Click here to read more. Arizona is the new Nevada. The Phoenix area is a magnet for people from the Golden State for two reasons: real estate prices and jobs. According to Kyle Campos, "Living in Santa Barbara, you get used to nothing being under a million dollars, and a million-dollar house is really small," Campos said. "Here, I could build my dream house for less than $300,000. At some point, you weigh the beach versus a realistic life someplace." These days, that "someplace" is likely to be Maricopa County. For the first time since Nevada became a magnet for Californians in the 1990s, the Phoenix area has nudged Las Vegas aside as the No. 1 destination for people fleeing the Golden State and its soaring home prices. In fact, the Arizona-bound are at the head of a long parade of bargain hunters marching out of expensive urban California and settling ever eastward, in Riverside, San Bernardino, Buckeye, Phoenix. Click here to read more. Real estate market is in the midst of a slowdown. CAR has forecast a statewide 7 percent drop in sales of existing, single-family homes in 2007. In California there were 31,434 foreclosure filings reported for March, the most of any state and an increase of 36 percent from the previous month, according to RealtyTrac. The foreclosure surge pushed California's rate to one filing for every 389 households. In the Inland area, San Bernardino and Riverside, where new construction took place at a blistering pace during the real estate boom, there's now an overhang in demand, Appleton-Young said. Expect the area to feel the pinch worse, because people flocked to the still-relatively-affordable Inland area while prices were soaring. Those buyers went in search of affordable prices, and many were low- to middle-income families taking advantage of adjustable rate and interest-only loans to get into a home, Appleton-Young said. "That's where you had a lot of the subprime market, households that were facing affordability hurdles being forced inland, and a lot of speculative demand for housing," she said. "The supply is there, but the demand is not." In Los Angeles County, CAR's housing inventory measurement for February was 7.7 months. In San Diego County, there was a 10.2-month supply, and in Orange County the supply was measured at 12.5 months. 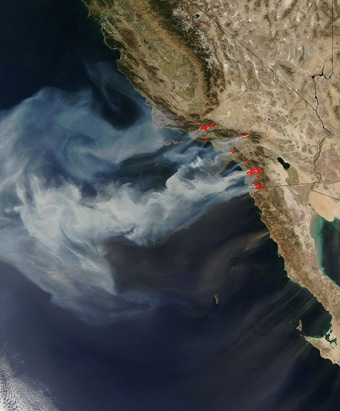 In the Riverside and San Bernardino areas there is a 17-month supply, according to CAR. Click here to read more. All about REO's and Bank Owned Properties! Have you heard of bank-owned, lender-owned, or REO properties? If you are an investor, sometimes these properties can be a really great deal. The other day, I was talking to some people who seemed to be a little misinformed about what bank-owned properties were. They thought that bank-owned properties were "homes in the foreclosure process and that buyers were required to have all cash bids for the entire sales amount." Just so you guys all know, this is absolutely not true. REO's or Real Estate Owned Properties are properties owned by a bank. These properties have gone through the foreclosure process, but no one successfully bid on them for purchase. According to BiggerPockets.com, there are many advantages to buying REOs. 1. All liens against the property are removed once it becomes an REO, and taxes are paid. 2. Unlike properties at foreclosure auction, REOs can be inspected prior to contract, and are listed with real estate agents. 3. While many foreclosures are often in deplorable condition, REOs are typically restored to at least a readily salable condition by the lending bank. 4. The bank or lending institution that owns the property will often offer financing with better deals then they would offer on traditional properties. 5. The bank or lender that owns the property will often provide an allowance for certain repairs. 6. REO properties are usually listed on your local MLS (multiple listing service), or can be located by going directly to your local REO bank’s website. 7. While in hot markets, you may not see a difference in price between an REO and a typical property, during slower markets, you can pick up an REO at discounts to the property’s actual value. 8. Lenders and banks do not like holding REOs on the books, and try to get rid of these as quickly as possible. RealtyTrac, does a great job of explaining the more about REOs. Foreclosure is a legal process that allows a lender/bank to sell or take possession of a property due to non-payment of a loan that is secured by that property. Properties that have already been foreclosed on are Bank Owned. Although the lender usually clears out any liens on the title, you should still make any purchase offer contingent on a title search. Also, find out if the lender has made any repairs to the property or if it is being sold "as is." The lender wants to recover any money they've put into the property, but you can often make a successful offer that's still substantially under the market value. There is no set timeframe within which the banks must sell their REOs; however, banks often want to get REOs off their books rapidly. As a result, many REOs sell quickly. The only exception is if there is a "redemption period" for the owner to buy back the property after it is repossessed by the bank. State law dictates if there is any redemption period. The bank will typically wait until the end of any redemption period to sell the property. Keep in mind that sometimes contacting the lender can be frustrating, as the main purpose of a lender is to loan money, not to sell property. So even though the bank may have a department that handles bank-owned property for sale, that department may be hard to track down. Still not convinced? Here's more REO vs. Foreclosure Info. An REO (Real Estate Owned) is a property that goes back to the mortgage company after an unsuccessful foreclosure auction. You see, most foreclosure auctions do not even result in bids. After all, if there was enough equity in the property to satisfy the loan, the owner would have probably sold the property and paid off the bank. That is why the property ends up at a foreclosure or trustee sale. Foreclosure sales begin with a minimum bid that includes the loan balance, any accrued interest, plus attorney's fees and any costs association with the foreclosure process. In order to bid at a foreclosure auction, you must have a cashier's check in your hand for the full amount of your bid. If you are the successful bidder, you receive the property in "as is" condition, which may include someone still living in the property. There may also be other liens against the property. Since what is owed to the bank is almost always more than what the property is worth, very few foreclosure auctions result in a successful sale. Then the property "reverts" to the bank. It becomes an REO, or "real estate owned" property. Buyers are seeing many more homes for sale today with terms like REO, bank owned, foreclosure, short sale, and others. All these terms have something to do with a bank, click here for an explanation for each. You might be asking yourself, "how do I buy a bank owned property?" Keep reading below for great buying tips. RealEstateABC.com shows buyers how to own an REO property. Each bank/lender works a little differently, but they all have similar goals. They want to get the best price possible and have no interest in "dumping" real estate cheaply. Generally, banks have an entire department set up to manage their REO inventory. Once you make an offer to purchase, banks generally present a "counter-offer." It may be at a higher price than you expect, but they have to demonstrate to investors, shareholders and auditors that they attempted to get the highest price possible. You should plan to counter the counter-offer. Your offer or counter-offer will probably have to be reviewed and approved by several individuals and companies. Even once an offer is accepted, the bank may insert wording like “..subject to corporate approval with 5 days." Banks always want to sell a property in "as is" condition. Most will provide a Section 1 pest certification, but not unless you include it in your offer and negotiate the point. They will allow you to get all the inspections you want (at your expense), but they may not agree to do any repairs. Your offer should include an inspection contingency period that allows you to terminate the sale if the inspections reveal unanticipated damages that the bank will not correct. Even though you agreed to “as is," always give the bank another opportunity to make repairs or give you a credit after you’ve completed your inspections. Sometimes they’ll re-negotiate to save the transaction instead of putting the property back on the market, but don’t take it for granted. Banks do not want to see a lot of proprietary disclosures; they are exempt from the California Seller’s Transfer Disclosure Statement (TDS-14). If there are real estate agents involved, either representing you or the bank, those agents are required to provide you their disclosure statements. Most banks will not provide financing on their REOs but it doesn’t hurt to ask. Especially if the property has extensive damage and you are purchasing it "as is." Well, I hoped we've all learned something new today! Every month my Coldwell Banker Kivett-Teeters Beaumont office has a delicious potluck. We usually have a theme, but people can bring whatever they want. It's a tasty tradition that we've kept up for several years. I should have taken some pictures to share with everyone, but food never lasts long with Realtors around. ;) The real estate news has been more hopeful about the housing market, instead of the usual doom and gloom. Don't expect any miracles, we're still in a pretty slow market, but studies have been showing a pick up in activity. 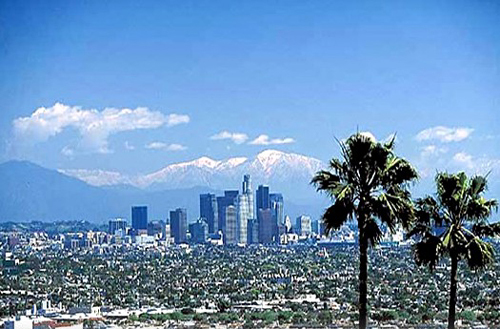 Los Angeles Is Least Overvalued Real Estate Market. Meanwhile, the Inland Empire is the third most overvalued in the nation, according to a market tracker. While most of the nation's markets "exhibit signs of overvaluation, we are not likely to see massive declines in home prices in most markets." Housing prices in the Los Angeles, Long Beach and Glendale metro area are currently overvalued by 2.7 percent, still suggesting a soft landing, but that figure soars to 16.7 percent in the Riverside, Ontario and San Bernardino county area, according to Laguna Hills-based Geo-stat Advisory, the Daily News reported. This means that prices in these areas could fall by a like amount this year, barring any big shock to the economy, market analyst Nima Nattagh, who prepared the report, said in remarks reported by the newspaper. "I think the extent of overvaluation is not as much as some people have expected," he said of Los Angeles. "I think it bodes well for the market." Click here to read more. It's amazing how brazen people can be with identity theft! Apparently someone thought it would be a good idea to buy a house with someone else's name and social security number. If they're looking for a place to live, maybe a jail cell would suit them. Unbelieveable! 2 women jailed in ID scam. Stolen data reportedly used to buy desert home. The 23-year-old woman was in for a big shock when she failed to secure a loan to buy her first home. A check of her credit history showed she was already making monthly payments on a home in Victorville. Unbenownst to her, the woman's name and Social Security number had been stolen and used to purchase a single-story home for $177,000. Investigators from the San Bernardino County District Attorney's Real Estate Fraud Prosecution Unit arrested two people Monday in connection with the scam. Fanny Velasquez, 52, and her daughter, Paola Garzon, 31, were taken into custody at their Fontana business and booked into West Valley Detention Center in Rancho Cucamonga on $250,000 bail each. They are charged with three felony counts of identity theft, false impersonation of another person and forgery. Click here to read more. For those of you who are renting right now, the results from this study might give you some incentive towards home ownership or maybe even becoming a landlord. The New York Times had an article that seemed to say renting was the way to go, but with rents going up, that sentiment may not last. O.C. residential rents likely to increase. USC Lusk Center sees apartment rents rising up to 5 percent this year, off a bit from past two years. There's one group benefiting from the subprime meltdown: apartment landlords. With a funding crisis under way among subprime lenders and Orange County's home prices still high, more renters will find their home buying options limited, said Delores Conway, director of the USC Lusk Center's Casden Forecast. Fewer people will qualify for home loans, she said. The center sees apartment rents rising in Orange County by 4 percent to 5 percent this year. Still, that would be down a tad from last year's increase of 5.3 percent and 6.5 percent in 2005. The average monthly rent at the end of 2006 was $1,472. Click here to read more. Okay, a few notes. Remember when I was ruminating about blog design changes? I realize now that it's not the look that needs to change. Rather, there should be a change in the way I interact with real estate news in my blog. Real estate news is great, but I need a better way of analyzing the news and making it relevant to our lives and our investments. Don't you agree? :) These are my thoughts, let me know how you feel about it. Remember, I'm always here for you! Email me at tina.jan@coldwellbanker.com if you have any questions or comments. I would love to learn more about you! Blogging is the new marketing tool eh? I've been blogging for almost 4 years now, not just on TinaJan.com, but on other sites as well. Looks like everyone else is starting to catch up! :) And what's this? Northern California housing market is heating up? This bodes well for the rest of state, let's hope there's a ripple effect. Real Estate Pros Not Getting Blogged Down By Negative Industry Trends. Blogging Has Become a Key Marketing Tool for Agents. Bloggers are offering an alternative voice in a turbulent real estate market. A recent national survey conducted by the Global Research Center and sponsored by the Blogging Systems Group reported that 68 percent of real estate agents said they would be focusing on blogs as a marketing tool in 2007. “Real estate blogs are an excellent way for real estate professionals to establish or expand their Internet presence,” said Richard Nacht, chief executive officer of Blogging Systems, a developer of community blog networks, in a release. “The Internet is now the number one place where home buyers and sellers go for real estate information. If realtors aren’t found online, there’s a good chance they won’t be found at all.” A recent report from the California Association of Realtors found that 63 percent of home buyers found their Realtor through an Internet search. CAR also found that a typical buyer is now an Internet buyer. It reported that the number of home buyers who used the Internet as an integral part of the home buying process increased significantly in the past six years from 28 percent of all buyers in 2000 to 70 percent in 2006. Click here to read more from the San Diego Business Journal. NorCal Real Estate Market Heating Up, Realtors Say. For real estate agent Adriana Barriga, it's as if the storm clouds are brewing and the end of a long drought is near. Six-months ago, Barriga would have been uneasy putting a $500,000 home on the market in Tracy; at that price homes sit for months. But Barriga said buyers are showing signs of interest again. We would expect this from a real estate agent. But Dr. Chuck Williams, the Dean of the University of Pacific School of Business believes 2007 will mark rock bottom for the housing market. "We don't see a bubble bursting," William said. "Prices have dropped 5 to 10 percent compared to two years ago. Interest rates are low; there's a tremendous amount of inventory from which to choose. And if you're a buyer those are the three conditions that you want." Experts believe Northern California home prices will start to rise again over the next 18 months. Waiting for rock bottom, however, could be risky. Click here to read more from CBS5.com. One of my guilty pleasures is catching up on celebrity real estate transactions. Avril Lavigne just bought a home in Bel-Air. Gwen Stefani is trying to sell her Los Feliz home after buying a new home in the Hollywood Hills. Avril Lavigne is the "Girlfriend" next door. And Gwen Stefani is just a girl in the hills. While Canadian-born superstar Avril Lavigne was recording the chorus of her latest hit, "Girlfriend," in eight languages last month, she also was talking L.A. real estate. Lavigne and her husband, Sum 41 frontman Deryck Whibley, have bought a Bel-Air home for about $9.5 million. Click here to read more from the Los Angeles Times. And when it comes to naming a lead singer of a rock band who is finding happiness in family life, Gwen Stefani would like there to be No Doubt it's she. She and musician-actor Gavin Rossdale, frontman for the grunge group Bush, were married in 2002 and had a son, Kingston, in the spring of 2006. That September, Stefani and Rossdale bought a 10,000-square-foot Hollywood Hills home for their little family, paying slightly less than its $15.5-million asking price. The contemporary-style house is on 2 acres in a gated community. Stefani has now put her Los Feliz bachelorette pad on the market at close to $4.8 million. It has six bedrooms and five bathrooms in 5,000 square feet. The grounds are about half an acre with a pool, spa, electric gates and a long, private drive. Mediterranean in style, the house was built in 1928 and has a two-story entry, hand-stenciled beams, a stone fireplace, an updated kitchen, an atrium with stained glass and a media room. Stefani, 37, has owned the Los Feliz home since 1998, when she bought it for $1.4 million. Click here to read more from the Los Angeles Times.